Michael Bernard has represented governmental entities, public and private corporations and high net-worth individuals facing litigation challenges for over 30 years. His clients span a broad range of industries including government, sports teams and individuals, financial institutions, businesses, organized religions, manufacturing and business leaders. Mr. Bernard's focus includes commercial, white collar, labor litigation and public law. His career has encompassed all aspects of state and federal litigation, including civil and criminal trials, arbitration and other forms of alternate dispute resolution. 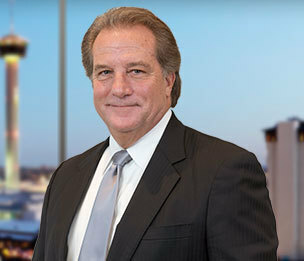 Prior to joining Dykema, Michael served as the city attorney for the City of San Antonio, a position he held for eight years. In this role, Michael served as the chief legal advisor to city council, city management and all city departments. His office included a team of 58 attorneys that provided complete legal services to the city, providing advice and general counsel on all legal issues and litigation involving San Antonio and its residents. Michael also served as first assistant district attorney for Bexar County, Texas. In his six years as the highest ranking appointed prosecutor, he undertook and supervised investigations and prosecutions of state securities fraud, banking violations and numerous corporate criminal matters and civil enforcement actions. Prior to these positions, Michael established his own firm focusing on federal criminal defense including antitrust, tax, bankruptcy, securities, bribery and other federal enforcement actions and investigations. In addition to his client representation, Michael is an adjunct professor of law at St. Mary's School of Law where he teaches Trial Advocacy, a part-time position he has held since 2002.